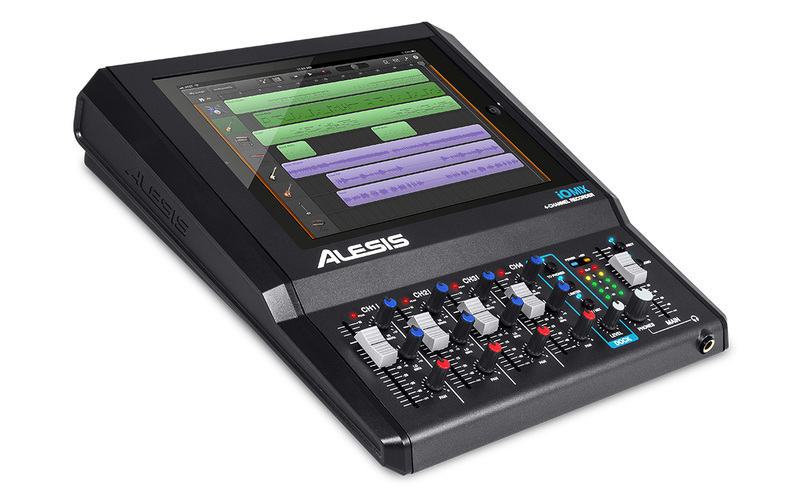 More than just a mixer, the Alesis iO MIX is a four-channel audio interface that delivers safe and secure iPad integration. 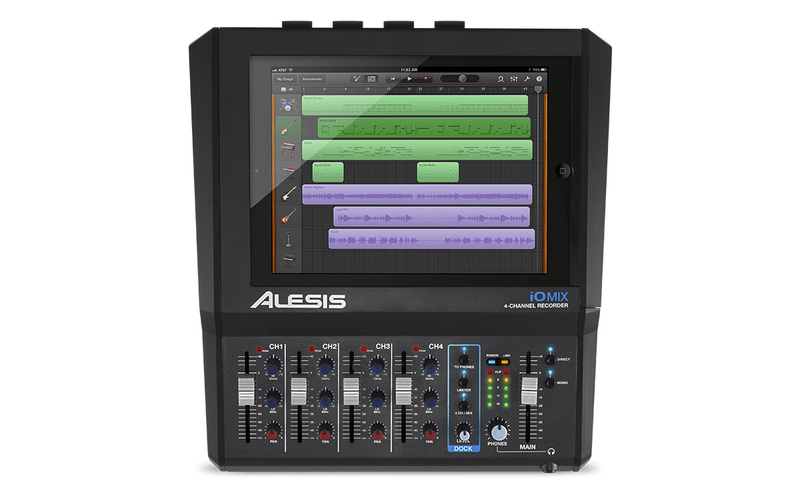 Together, your iPad and iO MIX serve up a totally integrated recording studio that can accompany you down the street-or around the world. Simply slide in your iPad, attach the 30-pin or Lightning dock connector, and lift the hinged door into position. 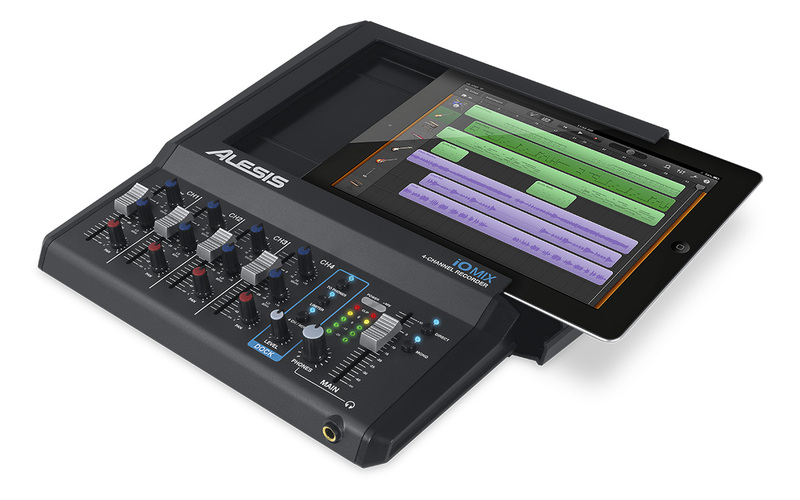 The iO MIX delivers on the dream of four-channel mixing and recording on your iPad. It provides all of the necessary connections, as well as compact four-channel mixer for making the most of every performance. 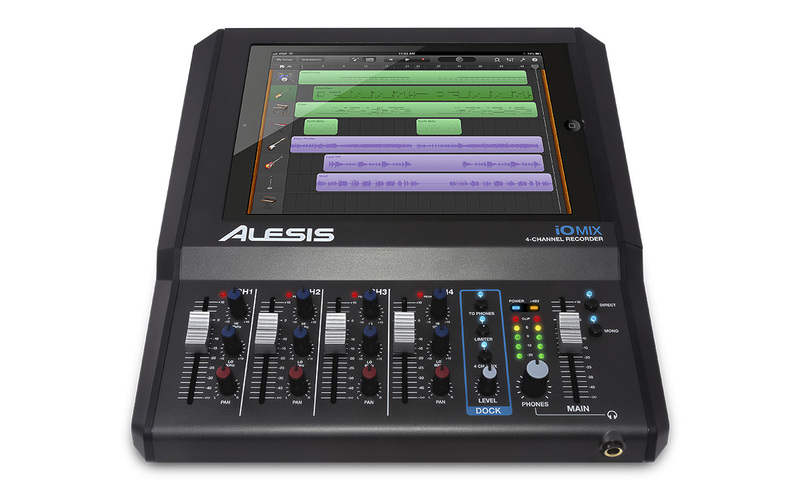 With its compact design, iO Mix is the perfect portable studio. Bring it to your band’s practice space, the next gig, or a weekend recording session. Each mixer channel features both a volume fader and a pan knob, plus a two-band EQ for extended tone control. Multi-color LED meters make it easy to monitor your recording levels. Switch on the built-in limiters and enjoy recordings free from overload clipping. The headphone output—complete with a separate volume control—and the direct switch allow for low-latency personal recording. You can even switch to Mono mode for accurate mixing. Each input includes a gain control knob to provide proper recording levels. Switchable low-cut filters reduce low-frequency interference-such as noise from microphone stands-in both live mixing and recording situations. 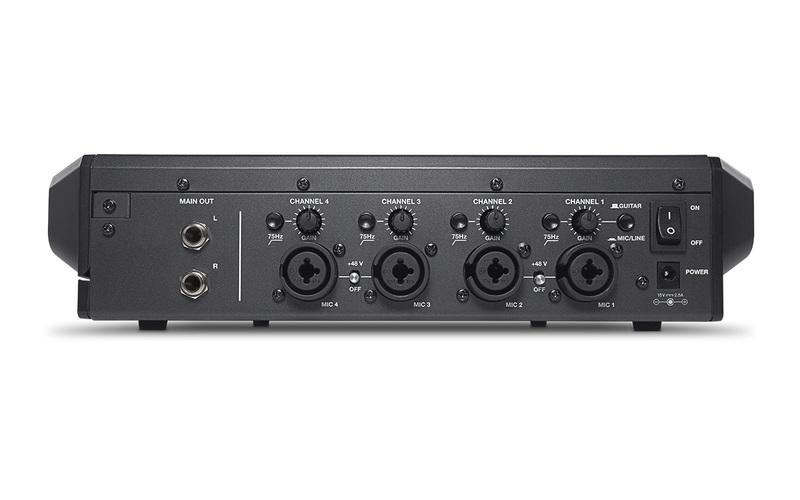 The four XLR+1/4” combo inputs accommodate nearly any audio source. Selectable phantom power allows for the use of professional condenser microphones. Input 1 features a level switch to accept an electric guitar or bass directly-ideal for using iPad based effects! The main Left and Right outputs are balanced 1/4” jacks, perfect for connection to any sound system. iO Mix is Core Audio-compliant, allowing you to use it with virtually any app in the App Store. The possibilities are endless.